Last Saturday, I was hanging out with my cousin Sonica and sister in law Rajini. We were free and we were trying to find a common thing that we all wanted to do. 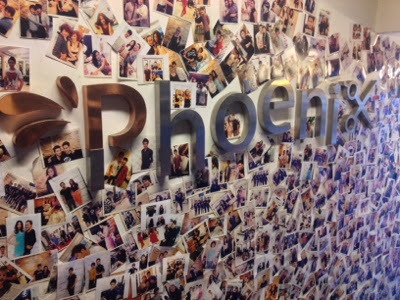 We all headed to find a new hair salon to get a new make over sorta. 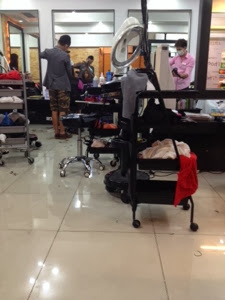 Randomly walking in the Siam and we were like, which ever salon has the most customer, we will walk-in that salon. 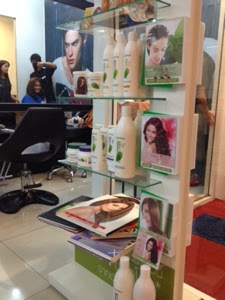 So we found this salon right in the center of Siam itself. 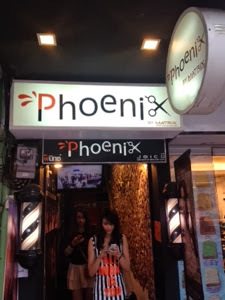 The salon name is Phoenix Siam Salon. 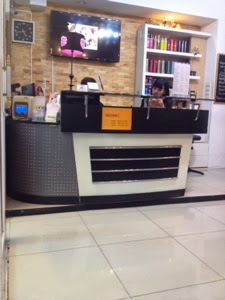 The entrance of the salon had so many pictures of celebrity and random people new hair cut all around. The salon is on the 2nd floor and when we went up, the place was packed with people. It's such a busy place. 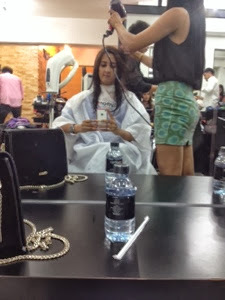 We had to wait for a while and the hair dress comes and give advice for the cut and all. 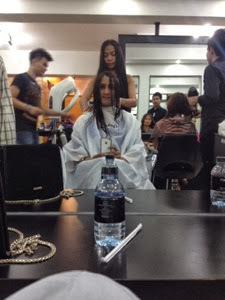 It cost me 500 Baht for a Hair cut. I would say this is the most expensive I've ever got. Usually at my regular place it would be around 400 Baht. They even serve bottle water. Service I would say overall is really good. 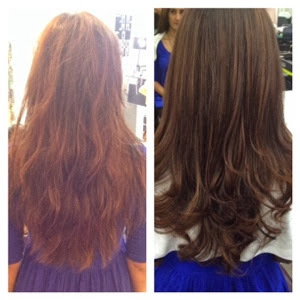 I didn't get any drastic change. Just a normal trim. With just a normal trim, I got so many compliments, so I guess it was all worth it. Left side was before the cute and right side is the after cute.